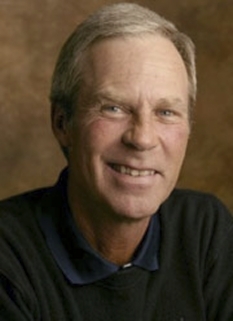 Golf pro, Hale Irwin, was born June 3, 1945 in Joplin, Missouri. 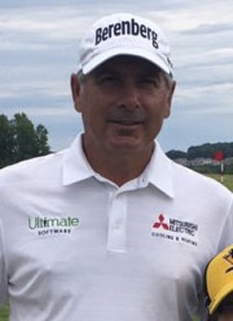 Irwin is one of the few players in history to have won three U.S. Opens and was one of the world's leading golfers for much of the 1970s and 1980s. He has also developed a career as a golf course architect. Irwin graduated from the University of Colorado in 1967, where he was a two-time All-Big Eight defensive back, as well as an academic All-American in football. 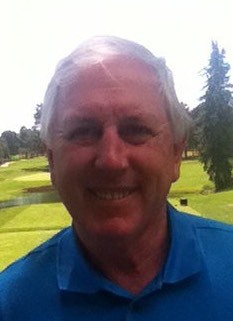 He won the individual NCAA Division I Championship in golf in 1967 and turned professional the following year. 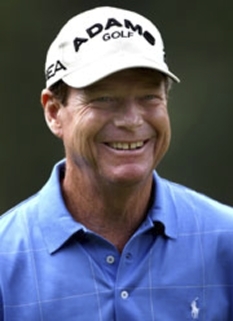 Hale Irwin had 20 victories on the PGA Tour beginning with the 1971 Sea Pines Heritage Classic and finishing with the 1994 MCI Heritage Golf Classic, and won prize money of just under six million dollars. His 1994 Heritage win at the age of nearly 49 made him one of the oldest winners in Tour history. He also won two Piccadilly World Match Play Championships at Wentworth in the 1970s. 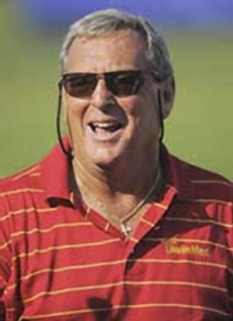 His successes kept him ranked high among his peers - he was ranked among the top five in McCormack's World Golf Rankings in every year from 1975 to 1979, inclusive. He ranked in the top-10 of the Official World Golf Rankings for a few weeks in 1991. 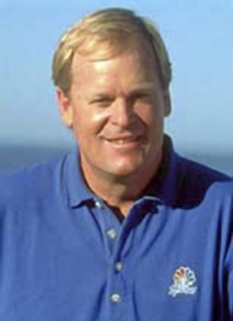 Irwin played on five Ryder Cup teams: 1975, 1977, 1979, 1981, and 1991. Irwin's first U.S. Open triumph came at Winged Foot in 1974, and he added a second in 1979. The next month, he came to the final round of the The Open Championship with a two-shot lead, but was thwarted in his attempt at an historic double by the incredible recovery play of Severiano Ballesteros. In 1983, Irwin had another close tilt at the Open, but lost by a shot, having called a penalty on himself in an early round for casually taking an "air shot" over a short putt. He was rarely on leaderboards from then for most of the rest of the 1980s, but enjoyed an incredible swansong in 1990, capped by his third U.S. Open victory, which came in a playoff against Mike Donald which Irwin had only joined after holing an improbable 45-foot birdie putt on the 72nd hole. 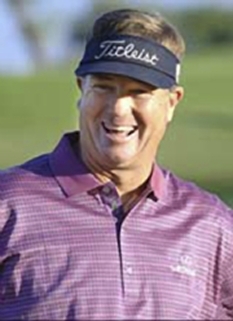 Irwin qualified to play on the over-50 Champions Tour (formerly the Senior PGA Tour) in 1995 and has enjoyed even greater success at this level than he did on the PGA Tour. He has won 45 Champions Tour titles and tops the all-time Champions Tour money list with earnings of over USD $23 million. He was the winner of the U.S. Senior Open in 1998 and 2000. Hal Irwin was inducted into the World Golf Hall of Fame in 1992. Irwin is the uncle of Heath Irwin. DISCLAIMER: PFP Sports Talent Agency does not claim to represent itself as the exclusive agent for Hale Irwin. PFP Sports Talent Agency is a booking agency that represents organizations seeking to hire pro athletes and sports personalities such as Hale Irwin for speaking engagements, personal appearances, product endorsements and corporate entertainment. Fees on this website are estimates and are intended only as a guideline. Exact fees are determined by a number of factors, including the location of event, the talent’s schedule, requested duties and supply and demand. PFP Sports Talent Agency makes no guarantees to the accuracy of information found on this website and does not warrant that any information or representations contained on this website will be accurate or free from errors. We are often asked how can I find out who is Hale Irwin's agent? To find Hale Irwin appearance fees and booking agent details, you can contact the agent, representative or manager through PFP Sports Talent Agency for speaking fee costs and availability. PFP Sports Talent Agency can help your company choose the ideal sports personality for your next marketing campaign. To hire Hale Irwin for an appearance, speaking event or endorsement, contact Hale Irwin's booking agent for more information.